Go Anglia Ruskin! 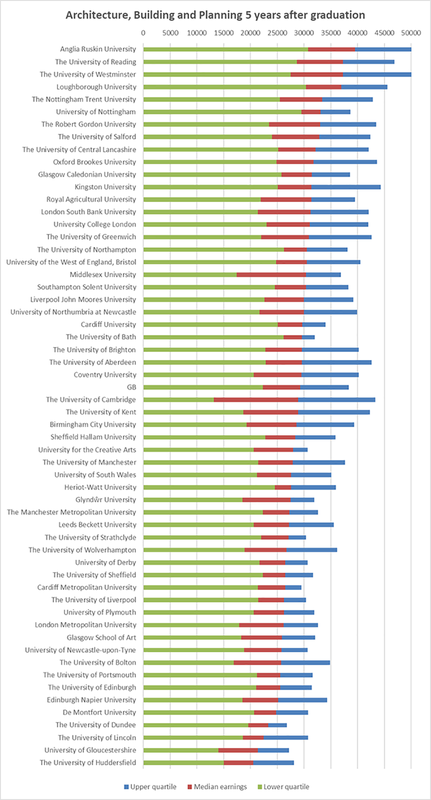 Also London South Bank, which is in the lowest band of prior attainment, is above UCL, in the highest band of prior attainment, in terms of median earnings five years after graduation. The majority of the courses in this sector have students in the mid and low prior attainment range, yet their earnings are very strong. Could SOCIAL MOBILITY actually be happening in this sector?